Don’t we feel confident, when we are asked to perform a new task but at the back of our mind we know that we have already learnt it! SAP at SIIB is exactly providing that learning & confidence, so the students here enjoy the experiential learning environment with hands-on practice on core modules and their integration. 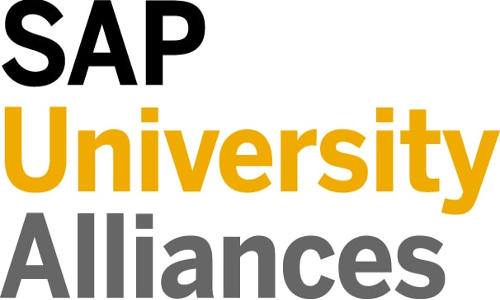 SAP provides software licensing for teaching purpose (via a hosted software model platform called University Competency Center). The institute has access to curriculum materials and academic exchange events. On regular basis Faculty workshops, Faculty Training and Certification is conducted. It is also a networking platform which often happens through Regional Academic Conference. Also, it provide Access to SAP Products and authorized datasets in a hosted environment. Major supported products are ECC6, Business Suite and BI. In addition to classroom and SAP-lab assignments, the students work on the field assignments and try to map the core processes in selected industries like manufacturing, retailing, food processing etc., so as to reinforce their learning with the actual industry practices. The students take up assignments and mini-projects on these modules and gain hands-on experience of understanding SAP and integrating its various processes. It is provided for the all the students of International Business, Agri Business and Energy &Environment program providing an edge over the other college students.